“There is a form of idleness that is not relaxation, but the expression of malaise, a disenchantment with life.” Sheff has become disenchanted with his newspaper job and resigns with vague plans of travelling overseas. His father is dying of cancer and his sister persuades Sheff to travel with her to the family home in Central Otago to visit their father before he dies. We find out there is a gentle but searing tragedy in Sheff’s recent past that has caused the breakup of his marriage. Sheff is numb but angry, and prone to endless pathetic mishaps. His trip ‘home’ becomes an observation on family relationships, on coming to terms with grief and on the situating of a person in his own life when that life has taken an unexpected and baffling turn. In an extraordinarily gentle way we learn of Sheff’s tragedy, his childhood and of the independent lives of his parents, as Sheff finally realises they are their own people and not just adjuncts to his own life. There are the quite stilted even formal conversations between Sheff and his sister, and the increasingly casual exchanges between him and one of the rural vets, an old school friend of his sisters’ and bridge mate of his mother’s, to whom he is attracted. In a way it is a novel about growing up, about learning that you don’t always get what you want and that living a good life is only partly being able to chart your own course, it is also being open to what you are presented with. None of Sheff’s tragedies are unique or ‘momentous’, not like those of a stranger he has a chance conversation with at one point, whose son is bipolar, or the young man at a supermarket afflicted with chronic vomiting. But Sheff’s story makes you realise that all loss, no matter how commonly experienced, does have a uniqueness that is deserving of total observation and respect. 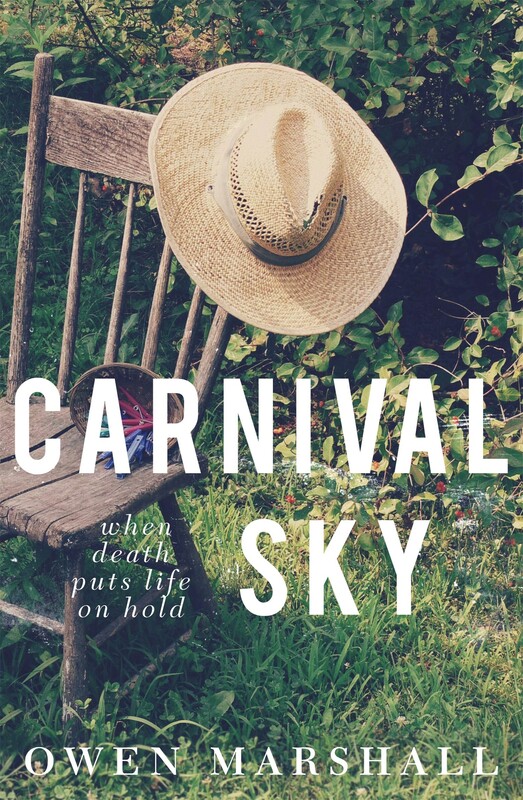 Carnival Sky is a beautiful book.